Thursday, November 30th, 6-8 pm. 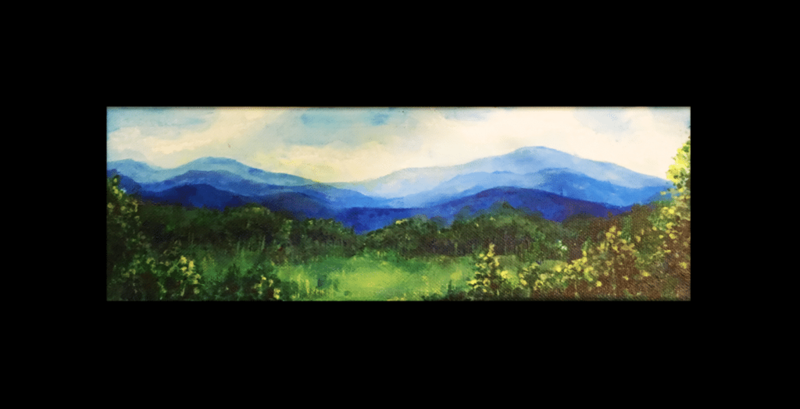 Join us for a fun evening, where we will be painting this beautiful Blue Ridge Mountain landscape! Our instructor will walk you through the steps to create your own masterpiece on a 4 x 12 canvas. This class is designed for ages 16+ and all skill levels. We suggest arriving at the studio 15 minutes prior to class time. We also encourage you to bring the snacks and drinks (wine, beer, etc.) you may want while you paint!